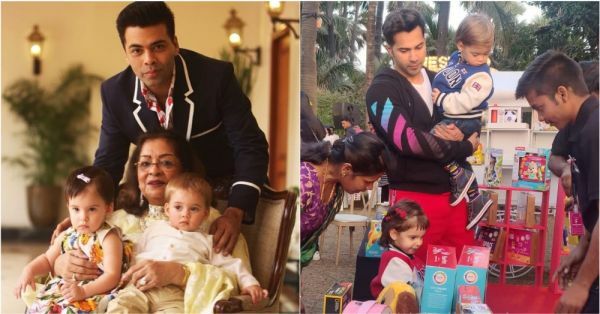 Karan Johar's Twins Yash & Roohi Just Had Their Birthday Bash & I Want To Be A Child Again! Filmmaker Karan Johar was blessed with twins via surrogacy on 7th February 2017. He named them after his parents, Yash and Hiroo Johar (Roohi name is a rearrangement of Hiroo). Shortly after, the little munchkins became a favourite amongst their Bollywood aunts and uncles, and the media also couldn't stop gushing over their adorable pictures. And look how time flies, the babies have turned two! The director took to his Instagram stories yesterday to wish his munchkins a very happy birthday. The babies can be seen twinning in blue and red. Don't they look adorable? 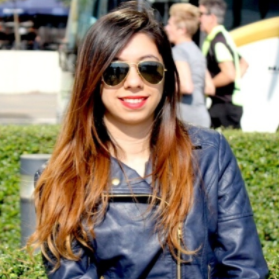 If you're wondering that's all, then let us remind you that it was KJo's kids' birthday. And how can there not be a birthday bash? There was an intimate party that saw the twins clad in similar outfits. They cut a three-tier cake that had a collage of their own pictures. Varun Dhawan was one of the first celebs to arrive at the party. Mira Kapoor too attended the party with her lovely kids, Misha and Zain. Actress Neha Dhupia also took to her Instagram to wish Yash and Roohi by sharing an endearing picture. She wrote, "#happybirthday my dearest Roohi and Yash 😍 ... I still remember the first time we met and both of you screamed out loud ... “bbbbaaaaabbbbbyyyyyy”.... I may not be joining you for your birthday celebrations this time as I will be busy 💤 ... but I promise I ll create havoc with you very very soon... ❤️ @mehrdhupiabedi"
We wish these adorable babies a very happy birthday!